. RACKSTUDS 100 pack. The 3 piece Smart Rack Mounting System. 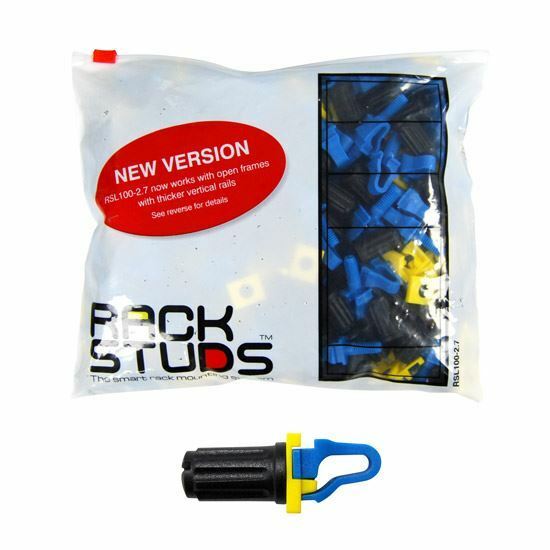 RACKSTUDS 100 pack. The 3 piece Smart Rack Mounting System. RACKSTUDS 100 pack. The 3 piece Smart Rack Mounting System. Supplied in Ziplock Resealable Bag. Now works with open frames & thicker 2.7mm vertical rails.